Mog is Serah and Noel’s traveling companion throughout their escapades in time, and rounds out the trio in XIII-2. Sometime earlier, Mog wandered into Valhalla, a place where the weak serve the strong - and though many defeated the weak, shy fellow, no one wanted poor Mog to stay around, kupo. Look at that face. Who would send him away? Everyone, apparently. Fortunately for moogle lovers everywhere, when Lightning defeated Mog (at a game of rock, paper, scissors, no less…) she took him under her wing, and sent him to Serah as a gift. Mog is the source of Serah’s bowblade, since he transforms into it during battle and yes, sometimes there are post-fight cuddles. Mog has many other functions too, but he’s also his own character. He knows a remarkable amount of information about the Historia Crux and the timeline, but to Serah specifically, Mog is the eidolon she never had. In all but name, Mog is Serah’s eidolon. This is something I have strong feelings about because all the facts line themselves up so beautifully and it’s a perfect thing for Mog to be. As a l’Cie, Serah never reached the hopelessness and despair that the party did when their eidolons were gifted to them by Etro. In XIII-2, Lightning is Etro. She’s the figurehead, the embodiment, of Etro - and Mog, coming from Valhalla, has the same source of all those other Eidolons. He helps her to fight, he gives her strength, and if Serah was going to have any summon out of the Final Fantasy line-up, it would be a moogle. You thought it was weak? You fool. 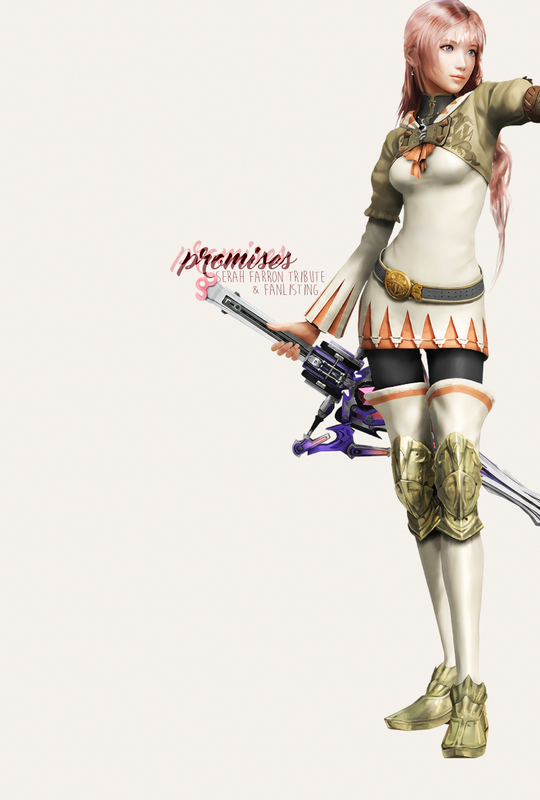 Mog is the reason Serah can physically get out there and show the timeline who’s in charge, show that she means business - and Mog is not just good for Serah, Serah is good for him. It’s so pure, so good. They help each other to realise their wants, and become part of their respective families. Having been sent from Lightning, Mog is also a beacon of literal hope for Serah’s ailing soul. And it’s not the only time he guides her forward towards her destination of Lightning and family, because Lightning bids that he do the same at the end of Lightning Returns. Before fighting Bhunivelze, Lightning instructs Mog to act as a lighthouse. “Serah will need some sort of beacon to help find her way back here, right? That’ll be you.” Guiding her soul back is his job. That’s what he does from day one - guide and assist her. And when it’s time for everyone to move on from one world to the next, Mog leaves with the rest of the cast’s eidolons. It really can’t get much more transparent than this of what he’s meant to represent. Without Serah in Lightning Returns, Mog loses his function. He becomes a leader for the other moogles, makes a life for himself… but he sheds a lot of tears over the death of his friend. He deeply, outwardly mourns Serah because she was the one - the one he was meant to protect. It’s never Noel, and not even Lightning, that Mog serves. It’s Serah, in equal measure. And Serah develops a closeness with Mog that goes beyond words. When the rest of the eidolons leave, Serah embraces him in thanks - because he was never just a symbol of defying fate. He was a friend - and the reason she’s made it this far.